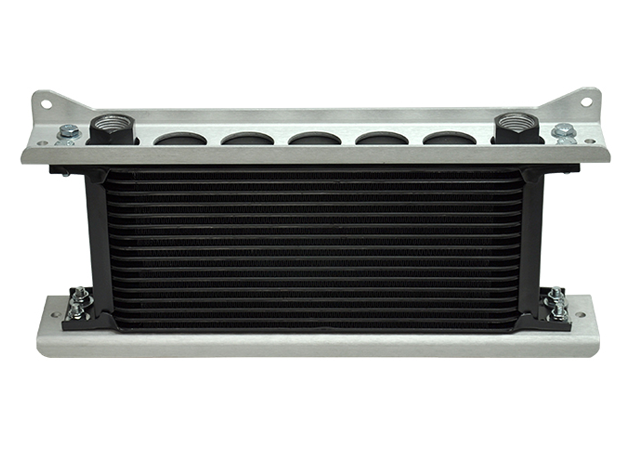 Our most efficient heat exchanger, the all-aluminum Stacked Plate cooler design features sturdy furnace brazed construction, full 2" deep turbulator-equipped plates. These heat exchangers feature a durable black powder coat finish for protection in extreme weather conditions. Our heat exchangers are designed to have minimal pressure drop and can be used for all automotive fluids. Includes black anodized finished -6AN, -8AN or -10AN male adapter fittings.. See all of our stacked plate coolers here.